Use a comfortable cat carrier kennel. Good kennels to buy are ones with a top loader which can be opened or the entire lid can be removed to gently lift the cat out. This is much better than dragging the poor cat out by the scruff through a tight fitting kennel door. If the kennel has been sitting at the back of the shed filled with dirty old papers from the last trip take it out and clean it with warm water (not smelly detergents that offend the cat’s nose). Place a nice cosy blanket which the cat is familiar with in to the kennel. If you have had time to do so get a pheromone spray such as Feliway from BrayVet and puff five squirts of the spray in to the kennel. This helps the cat recognise the kennel as its own mini territory and reduces stress. If the cat has been unwell don’t try tempting it in to the carrier with a pile of food. If it is a routine scheduled visit it is often easiest just to quickly, calmly and gently push the cat in through the kennel door or preferably drop the cat gently in to the cat carrier top loader opening. This should be done several times during the week preceding the trip so the cat becomes acclimatized to the kennel and does not see it as a threat. They can be let out of the kennel two minutes later and fed their usual meal. Once the cat is in the kennel /carrier put it in a level spot in the car so that it is secure and does not roll over. Chatting with the cat can help. Even if it is just your calm normal voice and their response is to complain about your driving! 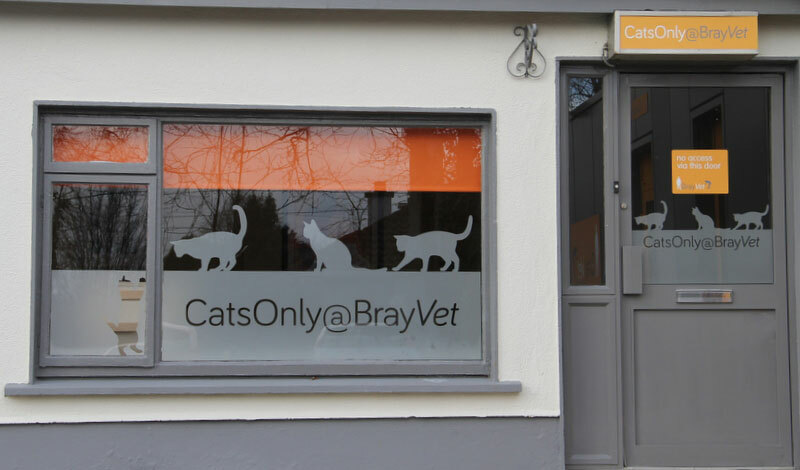 Once you arrive at Bray Vet we suggest you leave the cat in the car for a moment and let reception know that you have arrived. You can then walk straight in to our cat friendly waiting room where you can let your cat out if no other cats are waiting. They can sit by the fire, jump up on the sofa or find a hidey hole bed in the room. We schedule an extra five minutes for this acclimatization so your pet should be the only cat present. We guarantee you that dogs are NEVER allowed in the Cats Only waiting room. Medicines can be life savers whether they are blood pressure medications, antibiotics or medicine to reduce pain and discomfort. Unfortunately compliance can be a problem and then the cat may not get what it needs to stay well. We are all familiar with the cartoon showing a cat at one end of the room and the tablet at the far end with a frazzled human tearing their hair out! However it does not need to be that stressful. First of all check with your vet whether the medicine is available as a long acting injection. Some antibiotics are available in this form and can safely last up to ten days in the cats metabolism provided the cat is well hydrated. 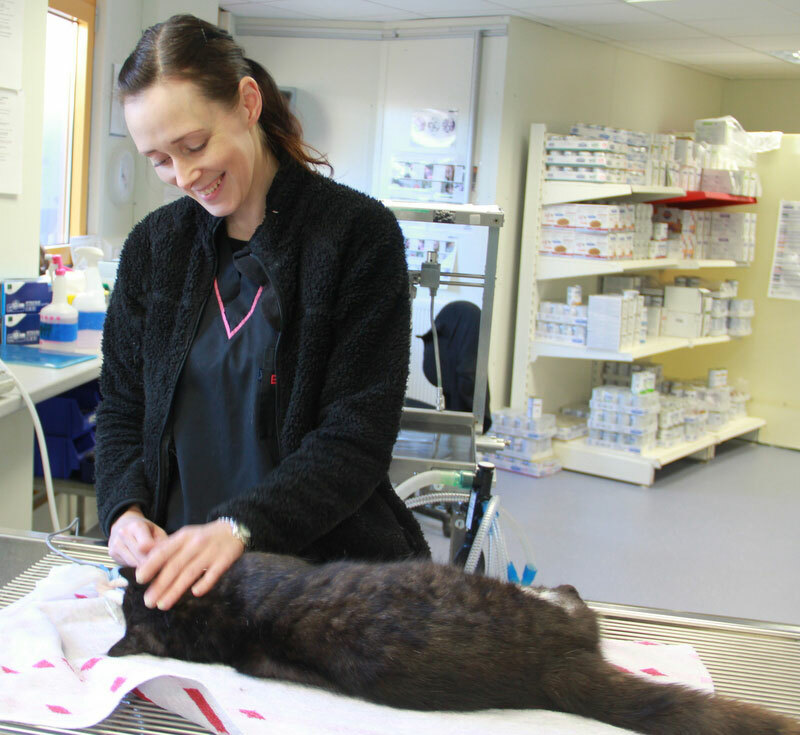 A lot of medicines are now being especially made to be palatable for cats and can be hand fed. If they are not made for cats they might need to be crushed in to a favourite food or drink. If they are on long term medicine, for example daily blood pressure tablets it is convenient to put the measured powdered tablet or liquid medicine in to the bottom of an ice cube tray and then add in tuna juice, any safe food liquid or natural yoghurt. This can then be frozen and a cube defrosted as needed. It is important the medication is soluble. Check with your vet or veterinary nurse first. 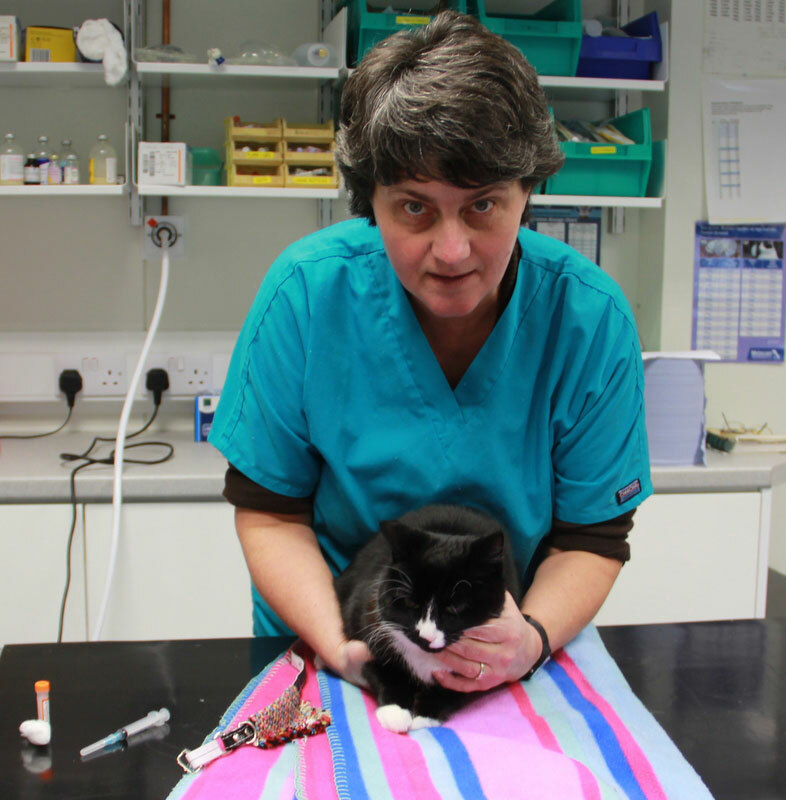 What vaccines does your cat really need? At CatsOnly at BrayVet we think through what is best for your cat. It is easy just to give vaccines to your cat year in year out and indeed sometimes that is necessary. But often it may not be. It IS really important that kittens are vaccinated and get a follow up vaccination a year later. This sets the ground work for life time protection. After that you can relax a little and might only need vaccination visits every three years unless your cat is more at risk because of belonging to a multiple cat household, cat fighting or other risks we identify. We use the WSAVA (World Small Animal Veterinary Association) Guidelines because they are based on science and experience from around the world. The WSAVA is a not for profit organisation and aims to educate and guide vets to do what is best for animals. What sort of consulation will your cat have ? The consultation will not be hurried and we will give your cat time to acclimatize to the examination room. This is very important as if your cat is more relaxed we get more accurate heart rates, blood pressure readings and test results. This facilitates better diagnoses and avoids unnecessary treatments. Did you know for example that stressed cats can have higher blood sugar readings and confuse the diagnosis of Diabetes Mellitus? We believe that the early detection of disease greatly improves the chance of long healthy cat lives. Cats nowadays have longer life expectancy because of better care. It is not unusual to meet elderly cats in their teens or even twenties. They do however have a variety of geriatric conditions which are hard to detect at home until they are advanced problems. You can not measure blood pressure at home but we can do this for your cat in a stress free cat environment and thereby prevent irreversible problems such as blindness or seizures caused by high blood pressure. There are things you CAN do at home! We have special urine collection packs that can be used at home for any cat but especially for routine screening of cats over 8 years of age. We can check the cats urine and look for signs of kidney disease which if identified early can be managed to increase your cats life expectancy. If you can not see what you need for information we will find it for you if you make an appointment for your cat to see us. BrayVet Link – Is Your Pet Sick?